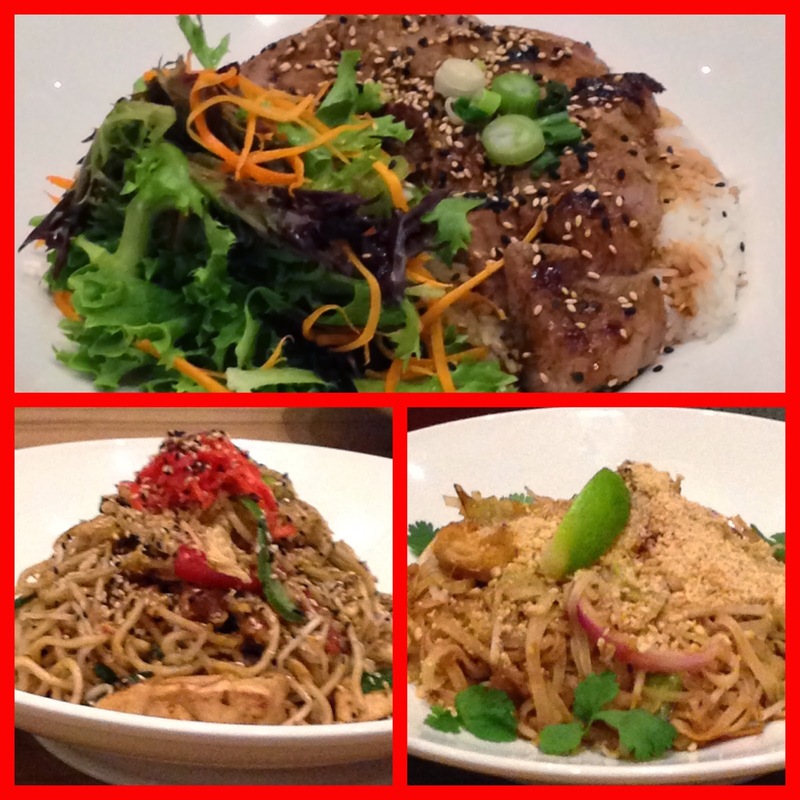 Queen Beans and Wannabes: Behind the Scenes at wagamama! 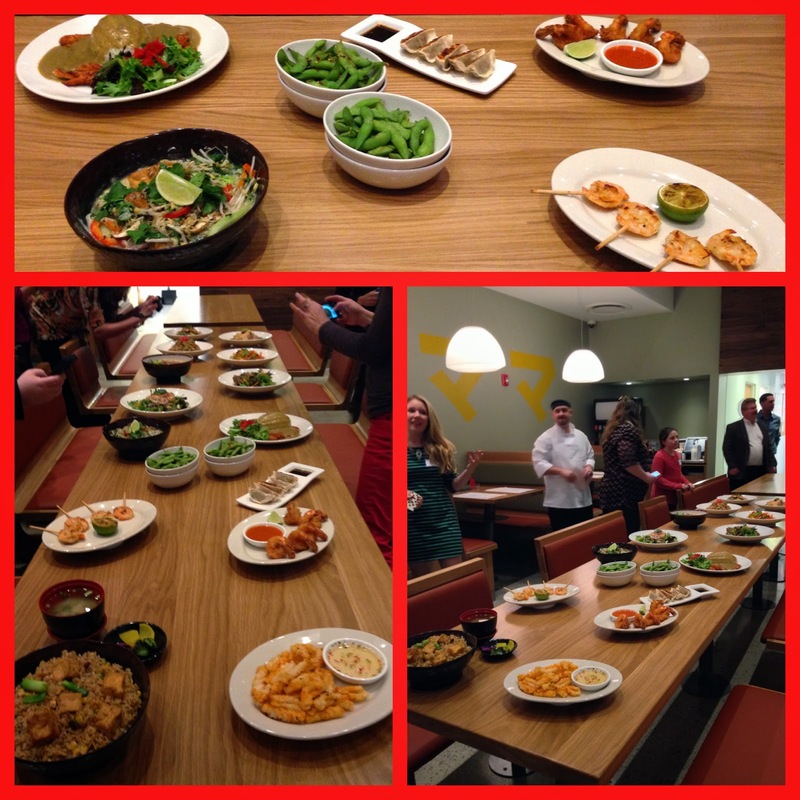 Recently, I attend a very cool event for wagamama's Pre-Grand Opening Dinner & Blog Event at their new location at Marketstreet Lynnfield in Lynnfield, MA, their first suburban location (and original home of me!) 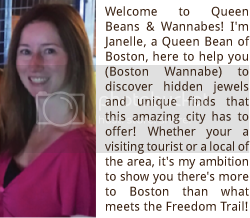 This was quite a different type of event for me because I've never been invited to go to a pre-opening of a restaurant- I felt very much like a Queen Bean. wagamama’s originated in London, England, which is rather odd being that it is Japanese inspired Noodle Bar; their philosophy is having fresh, fast food while in a cozy & relaxing atmosphere. 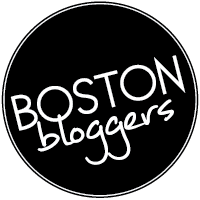 Their first U.S. restaurant opened in Faneuil Hall in 2007, (I do remember when it first opened in the area and thought it seemed like a little out of place and the food seem quite different). 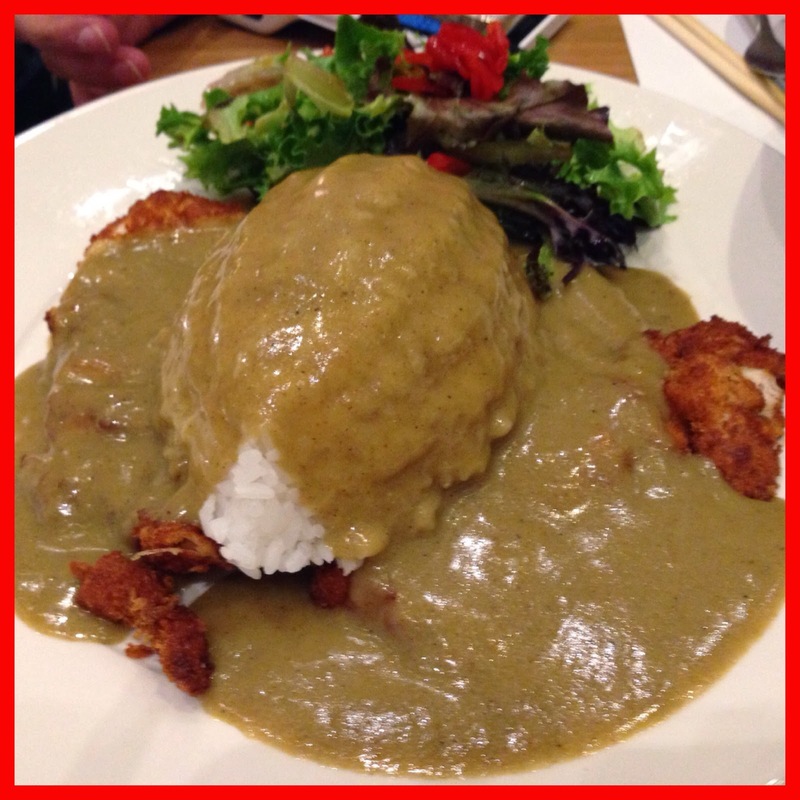 However, much to my knowledge, wagamama’s was in the right place at the right time and the food is deliciously good. This new location is no different; the restaurant is quite spacious, it has cafeteria styled tables and an open kitchen lets you view the chefs’ work their culinary magic. We began the evening with a little meet and greet from other bloggers and were given a culinary lesson on some of the different dishes wagamama's creates. 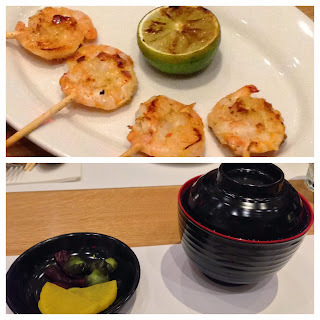 We were offered to try just about everything on the menu, starting off with their Miso Soup & Japanese Styled Pickles, Edamame (soybeans), Chili Squid, Chicken Gyoza (dumplings), Ebi Katsu (fried shrimp) & Lollipop Shrimp Kushiyaki. 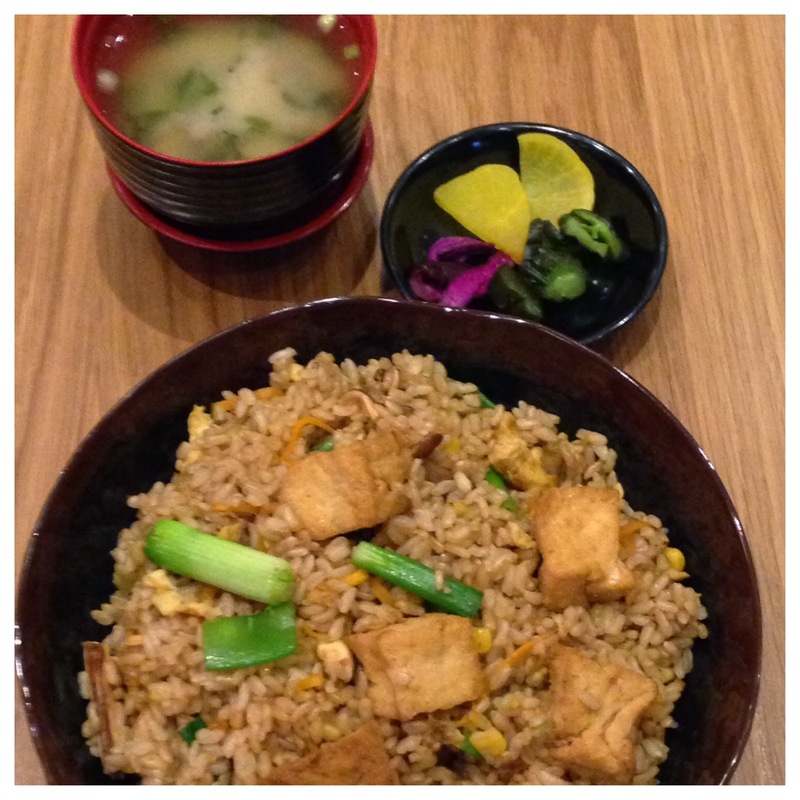 Next, it was Yasai Cha Han (tofu dish), Firecracker! (chicken covered in red hot chilies and fiery sweet & hot sauce) and Wagamama’s #1 selling dish (and my personal favorite), Chicken Katsu Curry. Next up, (I wasn’t kidding), Chili Beef Raman & Teriyaki Salmon Soba. 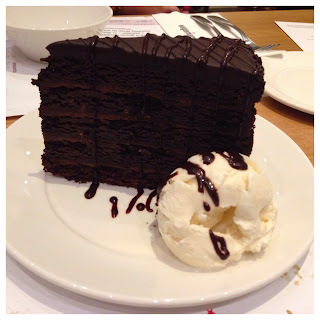 Last up, (as if I could eat anymore! ), was Coconut Reika (ice cream and mango sauce) and of course wagamama Chocolate Cake. 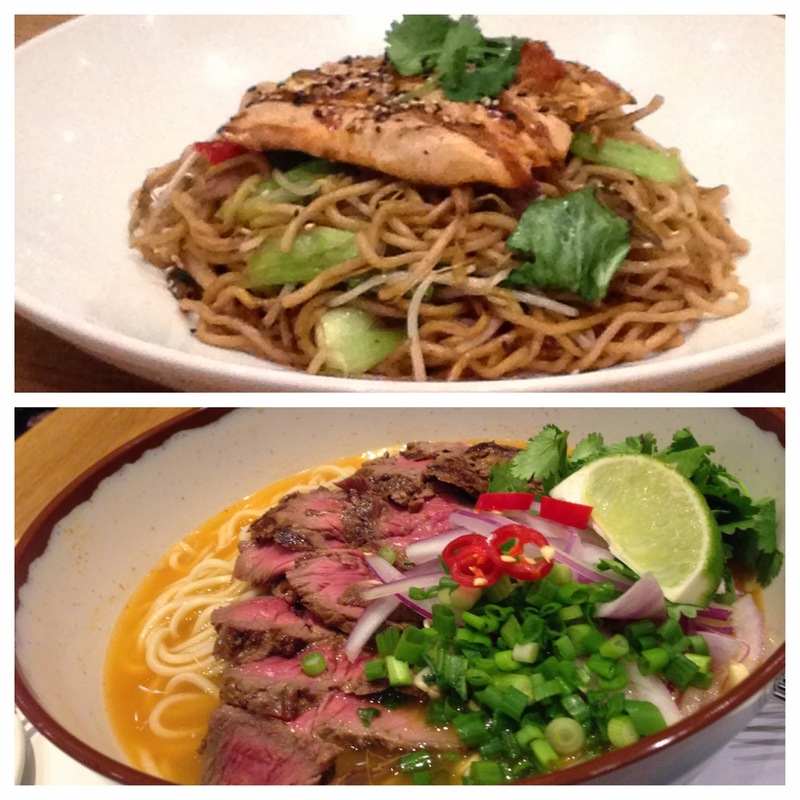 In all, we had about 14 different samples of wagamama's delicious food, (unfortunately, I was eating and chatting so much, I forgot to snap a few pictures and mention some of the dishes…I think after dish #8, I was officially in a food induced coma…but it was soo worth it)! 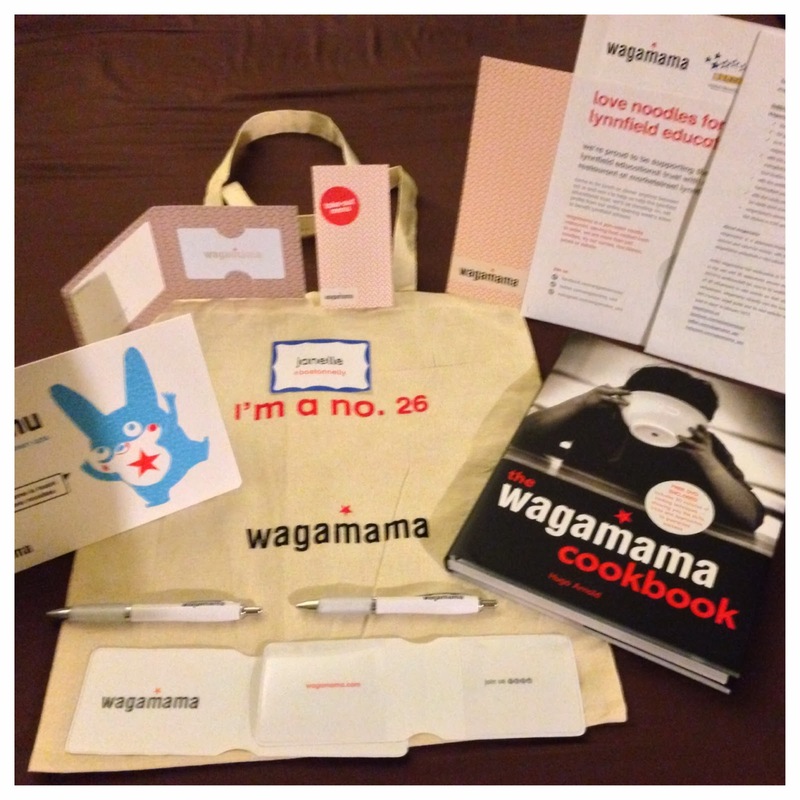 Of course, the wagamama's Event saved the best part for last…swag bag full of goodies! The entire event was amazing, the food was delicious and I was able to once again, meet some great bloggers… did I mention the food was DELICIOUS!! It’s that easy! I’ll be pulling the lucky winner on Sunday, November 24th, so be on the lookout for your name to pop up! So until then, re-tweet and share away! Wow, what an event! I re-tweeted your tweet about your blog post. Awesome!! Thanks very much Erica! It was an amazing even, although the pictures don't do justice...the food was amazing!!! Thanks for commenting!